In their general assembly, Klartext Halle elected a new executive board. Irene Adamski is now president and Peter Ohl has been elected vice preisdent. They are flanked by Deniz Lü and Felix Stoßmeister. Markus Loer has been elected treasurer. 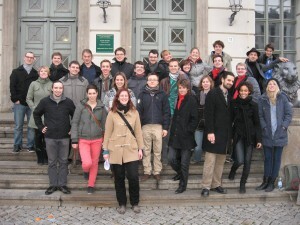 Debaters of Saxony-Anhalt competed in the first Saxony-Anhalt Derby. Read the German version to learn which society defeated the other. Please read the German version of this article to find out who broke to semi-finals at ZEIT DEBATTE Mainz! 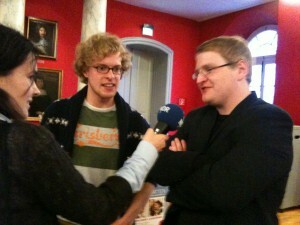 Simeon Reusch and Thomas Wach of debating club Klartext Halle won the ZEIT DEBATTE Greifswald 2010. More information will follow soon. We are sorry, this article is not yet available in English.